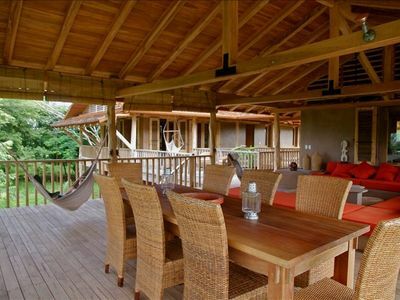 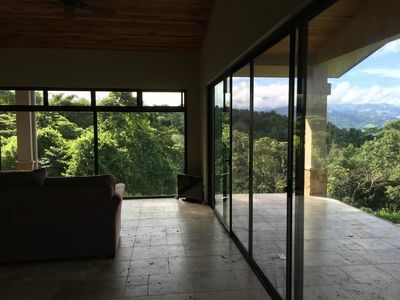 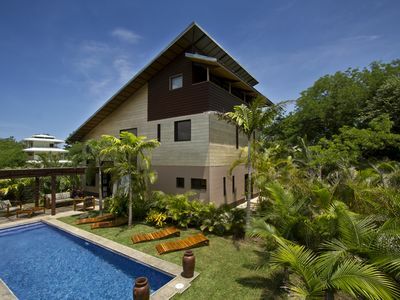 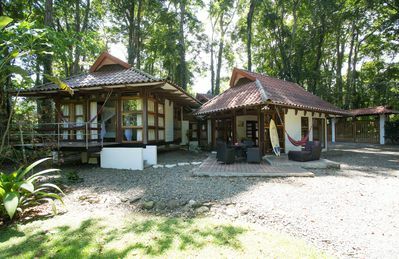 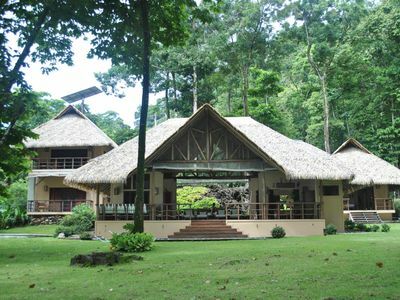 New and comfortable Caribbean/contemporary style jungle house built with bamboo combined with concrete,a beautyful roof from recycled plastic,build in a very eco-friendly way and has a huge jungle garden where you can spot all the Costa Rican nature. 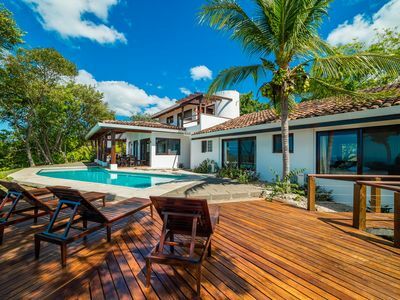 The house has a large open-plan fully equipped kitchen, dining area and lounge complete with sofa and chairs, two bedrooms; one bedroom has a double bed and direct access to the terrace and the other bedroom has two single beds that can be put together to make another double bed. 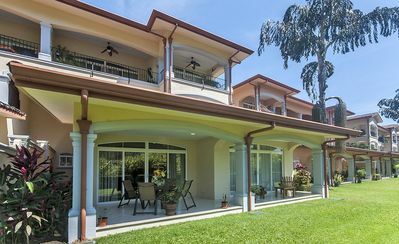 There is also a walk-through closet between the bedrooms and bathroom, offering generous storage space. 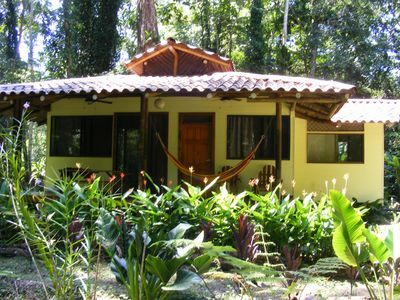 The bathroom has a large hot water tiled shower, modern sink and toilet which is separated for privacy. 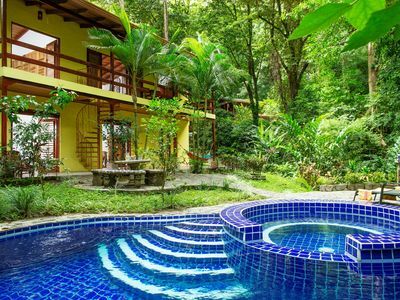 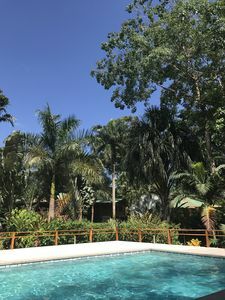 The Jungle House is suitable for 2 to 4 people and is located just 300 meters from the colorful village of Manzanillo and its white sandy beach. 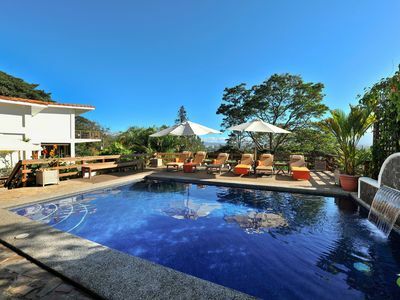 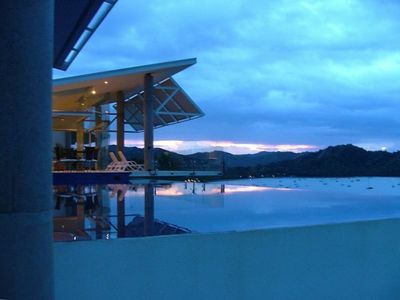 Book 6 nights and receive 1 night free of charge! 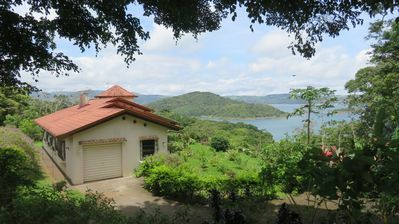 Keywords: Jungle House, bungalow, private property,beach, nature,monkeys,birds,wildlife,eco-friendly. 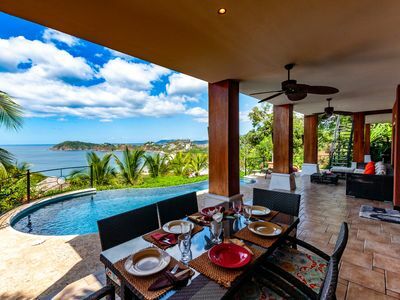 Villa Artemis - Classic Mediterranean style and Breathtaking panorama! 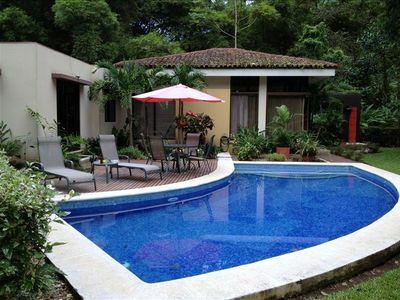 3 Bedrooms and Private Pool in a Bird Watcher's Paradise! 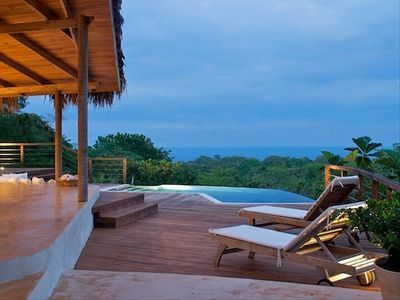 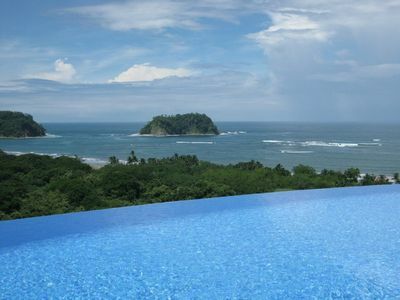 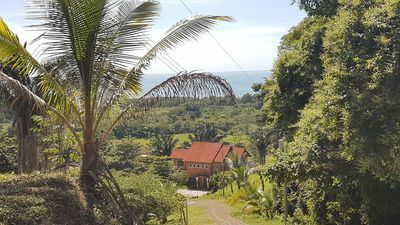 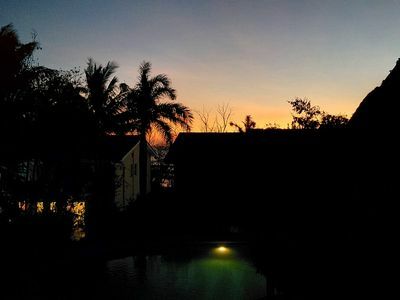 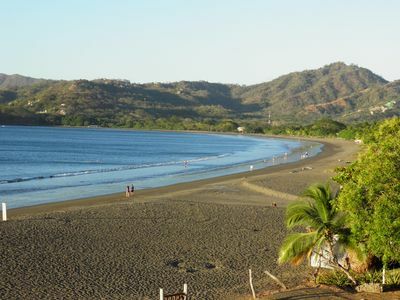 Chez Mu Luxury Villa - Amazing Ocean & Jungle Views 1 Mi/Town New Pictures!!! 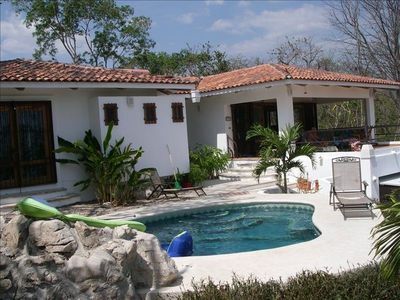 Amazing Oceanfront House in Cabo Matapalo with pool.Two surfboards and a kayak.